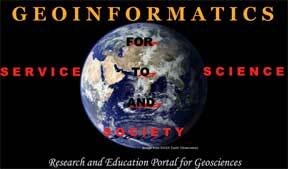 Geoinformatics is the science and technologies which develops and uses information science infrastructure to address the problems of geography, geosciences and related branches of engineering. Geomatics is a similarly used term which encompasses geoinformatics, but geomatics focuses on surveying. Geoinformatics has at its core the technologies supporting the processes of acquiring, analyzing and visualizing spatial data. Both geomatics and geoinformatics include and rely heavily upon the theory and practical implications of geodesy. Many fields benefit from geoinformatics, including urban planning and land use management, in-car navigation systems, virtual globes, public health, local and national gazetteer management, environmental modeling and analysis, military, transport network planning and management, agriculture, meteorology and climate change, oceanography and coupled ocean and atmosphere modelling, business location planning, architecture and archeological reconstruction, telecommunications, criminology and crime simulation, aviation and maritime transport. Which institutes offer PG Diploma in Geoinformatics?